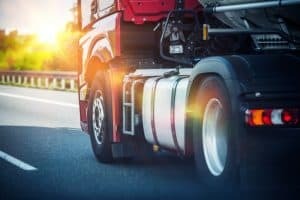 Five Factors That Cause Truck Crashes | Larson Law Firm P.C. As you might imagine, a collision with a large commercial truck can be a devastating experience. Colliding with such a massive vehicle can cause serious injuries, significant property damage and even death. Trucking companies have a legal obligation to maintain their trucks in safe condition, and to hire qualified, safe drivers. Those truck drivers also owe a duty of care to drive their truck in a manner that is safe and follows the laws. Brakes are one of the most important safety systems on a large commercial truck. According to the FMCSA, the stopping distances for a large truck are greater than those of a smaller vehicle. If the truck is overloaded, or if there are poor weather conditions, the stopping distance is even longer. A fully loaded truck traveling at highway speeds under normal conditions needs the distance of almost two football fields to stop. When you cut in front a truck quickly, you underestimate their ability to stop at a safe distance from running you over. The LTCCS states that about 30% of truck accidents can be attributed to brake system failures. Large commercial trucks are designed to haul massive loads, but if the truck is carrying too much weight, it can put additional strain on the brakes, the tires and the steering system. A blowout that occurs on a large truck as it is barreling down the highway can cause a terrible crash. The FMCSA has laws and regulations regarding weight limits depending on the truck. These regulations have the intent to keep other drivers who share the road with the truck safe, and to protect the roads and highways from the excessive wear and tear that occurs when large trucks are too heavy. The U.S. Department of Transportation’s Federal Highway Administration governs the size and weight of vehicles that travel on the national highways system, and they have established commercial vehicle weight standards. Bridge weight formulas were introduced in 1975 to reduce the risk of damage to highways and bridges from large trucks. There are penalties for non-compliance with federal weight standards. Maintaining tired, brakes and other safety features of the truck – including the lighting systems – are required for the truck to travel safely. The driver is required to perform and log all inspections, which can be analyzed in case of a crash. 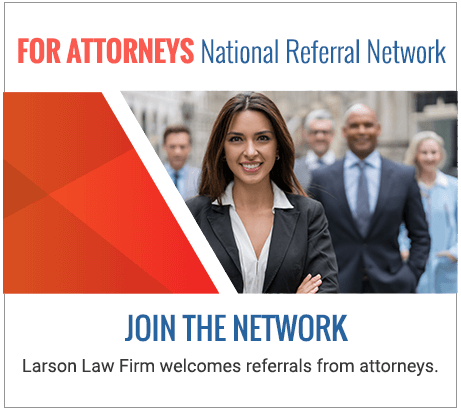 If you or a loved one was injured in a truck accident, it is important to contact a skilled North Dakota truck accident lawyer at the Larson Law Firm, P.C. as soon as possible to preserve your rights. We can visit you at home or in the hospital at your convenience. Contact us or call us at 701-484-HURT to schedule a free consultation at our Minot office.